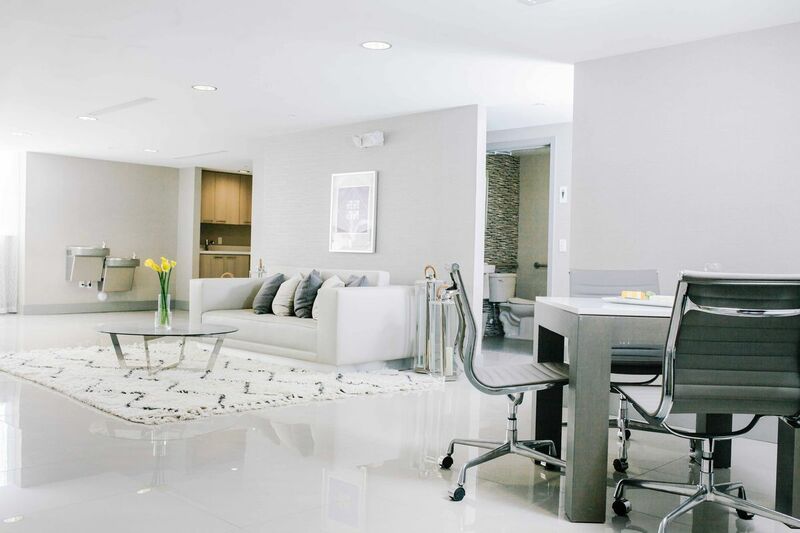 The Habitat Residence is a family-owned condominium hotel located just a few steps away from the Brickell area in Miami. 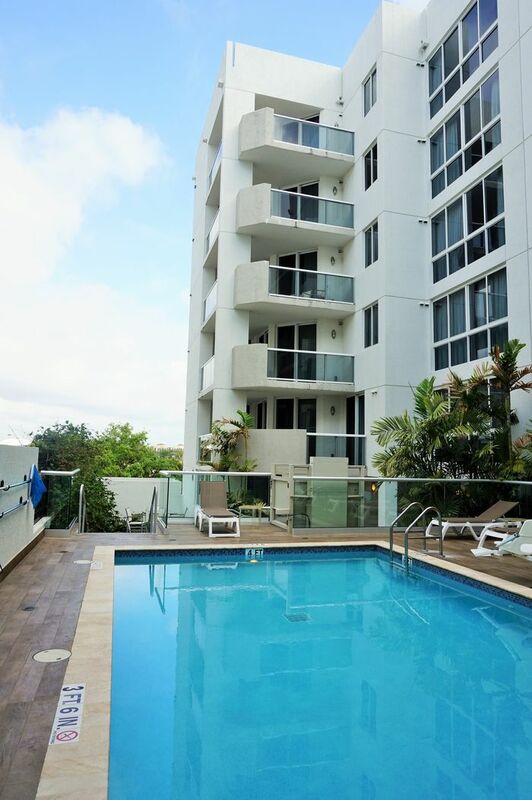 A great place to stay if you are looking for a fully-serviced apartment in a good Miami location. We had the pleasure of staying at this nice condo hotel for two nights. 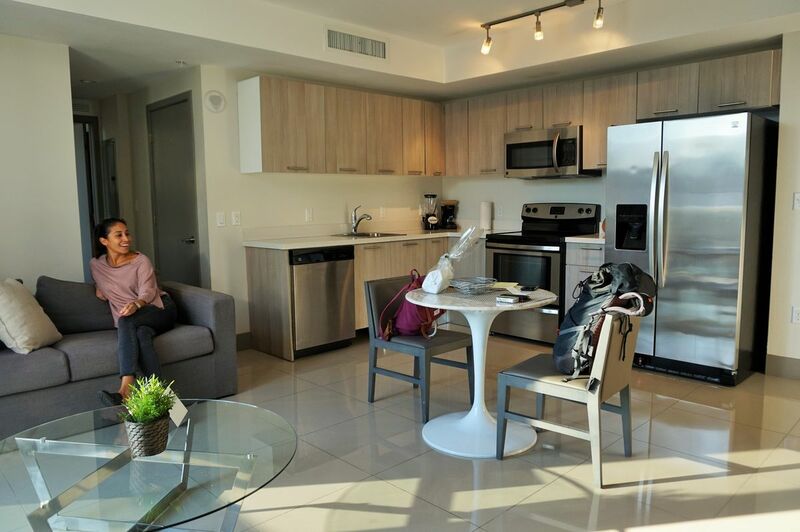 This was our first time staying in Miami and the place provided us everything we needed to enjoy our stay in the city. 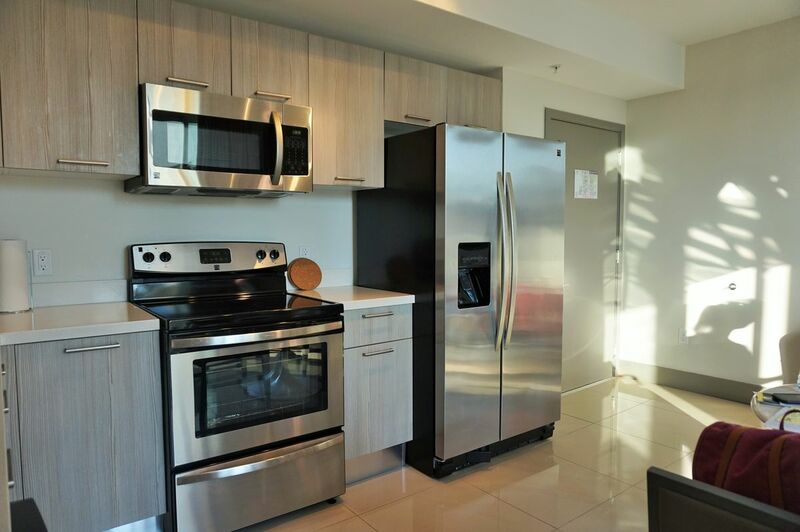 The Habitat Residence condominiums offer great comfort and full, high-quality amenities and appliances. It is perfectly suited for couples or families which are intending to spend a few days more in the city without losing the comfort of having an apartment for themselves. Distance to Miami Intl. Airport (MIA): 25 minutes by car, 40 minutes with public transportation. 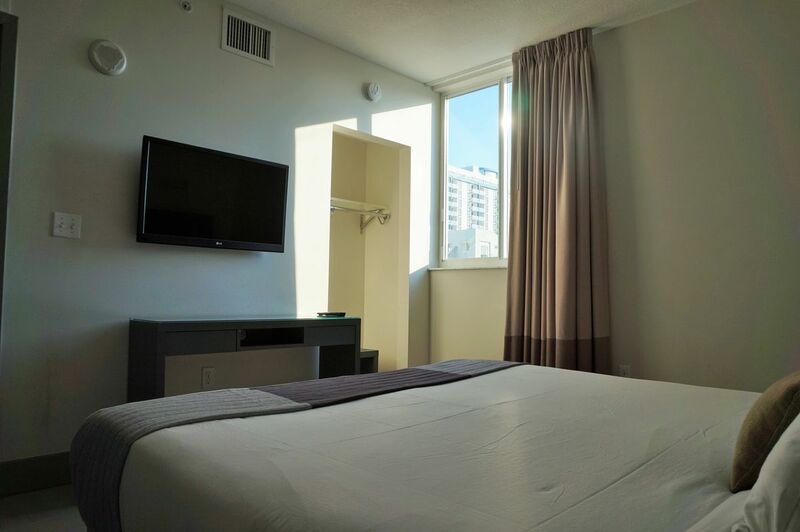 Located in the financial and new ‘hip’ part of town, the hotel is perfectly located to have a walk around Brickell. It is just a short, 10-minute walk to Miami Avenue where you will find various restaurants, shops, and cafes to spend your time (and dime). There are also some smaller shops where you can buy some food and pharmacies as well as a larger supermarket to get some groceries. Public transportation can also easily be reached from here (Brickel Station) in case you want to explore the city that way. The accommodation at the Habitat Residence is spacious and modern. There are in total 6 different kinds of apartments to chose from, depending on your needs and number of people you want to accommodate. These are single, two-bedroom and three-bedroom apartments. All of them have an outdoor balcony, fully equipped Italian kitchen, WiFi & telephone connection, and a TV. 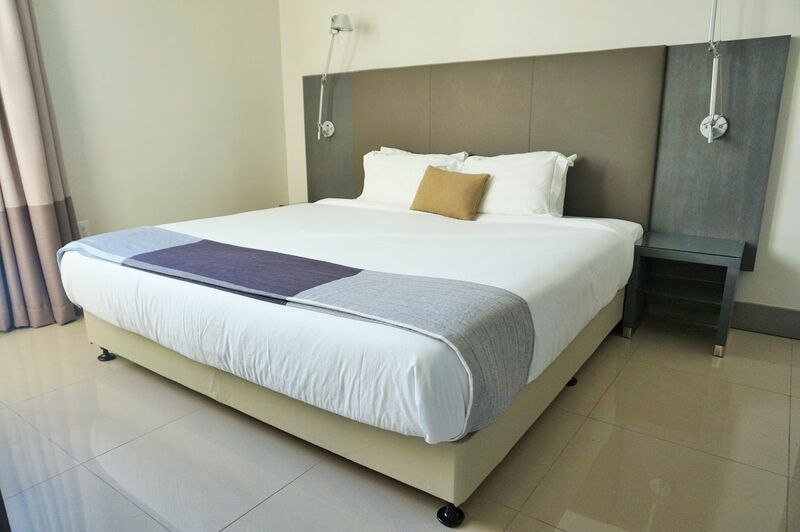 The more bedroom apartments come with each one king-size and queen-size bed and a sleeping sofa. Bed linen and towels are also provided. We spend two nights in the single bedroom apartment and absolutely enjoyed the space and comforts of the place. The living room area is quite large and you can easily find a nice place to sit and work. The kitchen is brand new and fully equipped, making it easy for you to prepare some foods or drinks. What we enjoyed the most was the bed! It was incredibly comfortable and we slept very well. 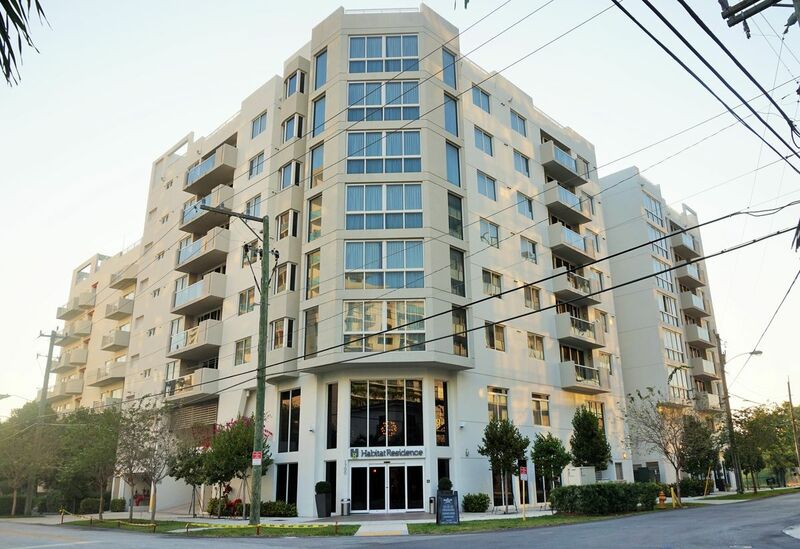 The size of the apartments ranges from around 700 square feet to over 1,200 square feet. There is a large conference room for your corporate presentation, meeting, or any other type of executive gathering. Also, there is a large event room in case you want to have some private gatherings. The gym offers a nice place to get fit and ready for the beach! There is an outdoor pool where you can cool off from the tropical Miami heat. We spent some time here to relax and swim a few rounds – the WiFi also works here! In case you are moving around the city with a car, there is a valet parking service right at the hotel. This service costs your $20/day and makes sure you are parking safely. We also could spend some time getting work done as the WiFi connection was very good throughout the apartment and hotel area. The is a small café located right next to the Habitat Residence where you can get some breakfast. 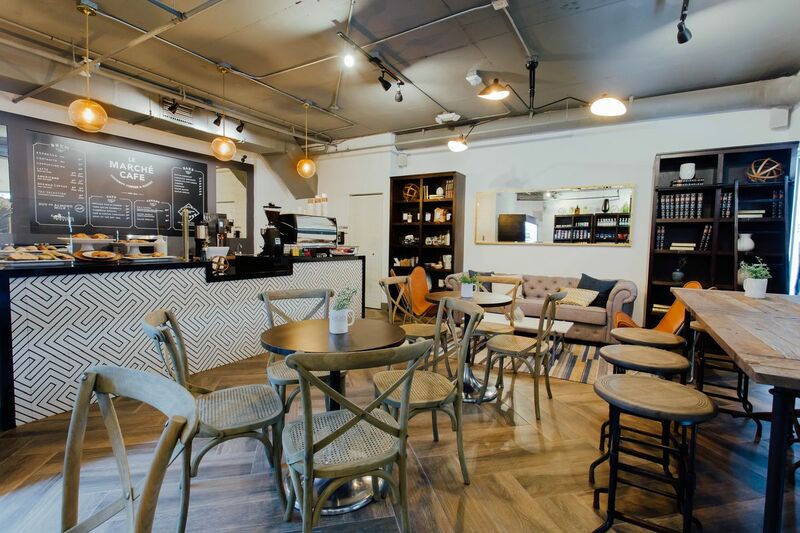 The place is called Le Marché Café and offers a variety of smaller snacks (croissants, bagels, etc.) coffees & juices. For most, a continental breakfast is already included in the room rate. It’s definitely a cute little place to get started and ready for the day! As the condo offers fully equipped kitchens, you also have the choice to prepare some food there. There is a larger supermarket just around a 10-minute walk away where you can get all your groceries. Prior to our arrival we even got an email where the hotel offers grocery services where they get some food ready for you before you arrive – great service! In general, there are plenty of options to dine and get some great food here. Havana 1957 – great Cuban food and delicious Mojitos (2 for 1), found @ 1451 S Miami Ave.
Beer & Burger Joint – one of the best burgers in town! You will also find a large variety of beers here, found @ The Shops at Mary Brickell Village, 900 S Miami Ave #130. Gyu-Kaku Japanese BBQ – delicious Japanese barbecue place, great food, and good prices, found @ 34 SW 13th St Unit R1. Overall, we really enjoyed our stay at the Habitat Residence. 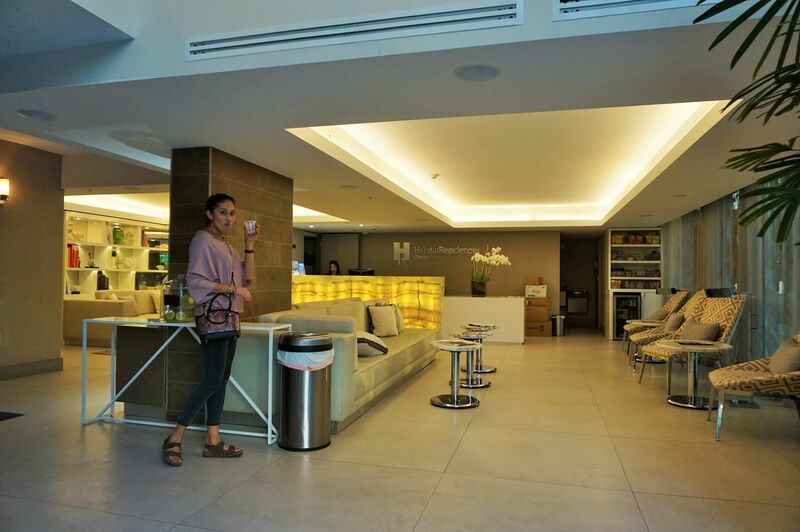 The apartment was very comfortable and we truly felt like it was a small ‘home away from home’. The service was very good, we really liked that they sent us a nice email with all the services offered along with the details of what to do and see prior to our arrival. Beds were very comfortable and we could also enjoy some nice rounds in the outdoor pool. We arrived with a car and it was great to have a safe place to park along with a valet service, despite the cost of it. The area was great for taking a walk and to have some shops, restaurants, and places nearby to get all the things we needed for our stay. 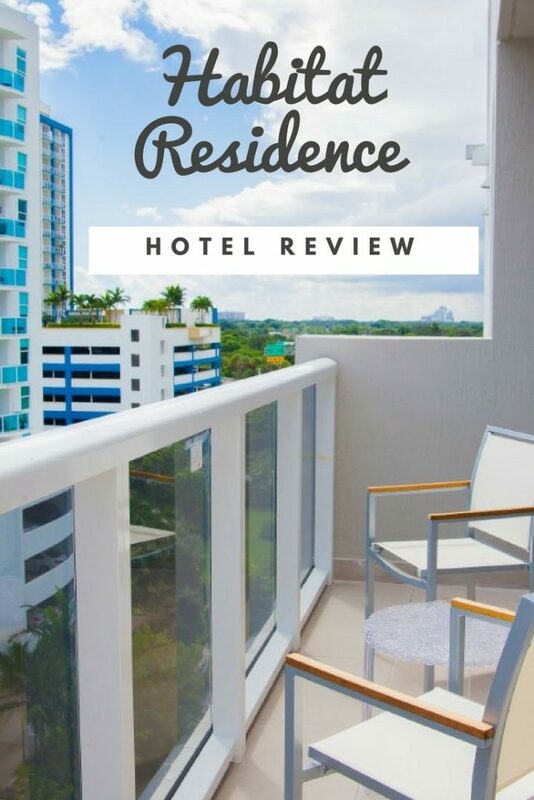 We can highly recommend this hotel to anyone who is planning to visit Miami for both short- and long-term stays.